I'm planning my first trip to Beijing. I don't know how long I've been talking about seeing and hiking The Great Wall of China but the opportunity has presented itself. I made a list of some of the "adventures" I have yet to do in a previous entry. 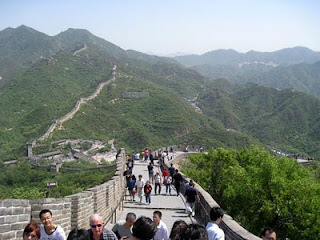 Hiking the Great Wall was one of them. You can take para-sailing off the list because I took care of that in August. The butterflies are already building. I am super excited! 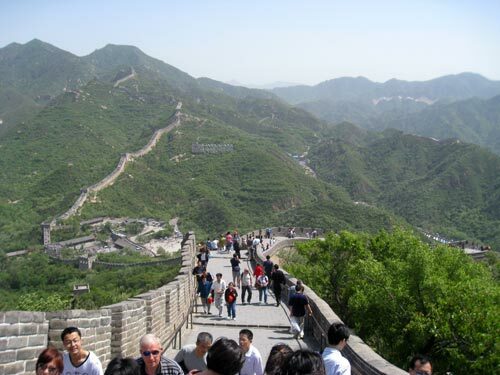 December seems like the best time to travel because it is the off season in China. It will be bitter cold (hate it) but I know I'm coming home to the beautiful tropics so I think I can bear it for a couple of days. I'm thinking that we'll stay at the Marriott there. It's near downtown Beijing and the subway. I'm so excited. I'm trying to avoid having to hire a private car and tour guide. My cousin said he hired one and it ran about $215. That seems like a small price for excellent services but husband and I are not "balling" like that yet so we're on a tight budget. Our day trip to San Francisco last week went just fine using public transportation. I'm assuming it will be fine in Beijing as well. The olympics was just there so I know they had to make everything user-friendly for speakers of all languages. I find comfort in that. 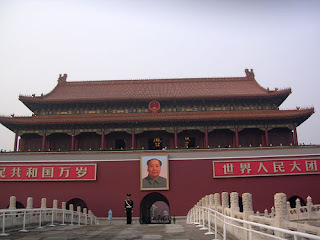 If you have travelled to Beijing, what are some tips I should keep in mind? woot woot!!! when you guys goin?! I hope you have an awesome trip.. I am truly jealous of your ability to jump on a plane so easily! But am so glad that you are taking advantage of your flying benefits! Right before I quit the airlines, Continental got routes into China and was so sad that I never got there! Have fun!